OPERATING 24 HOURS A DAY, EVERYDAY OF THE YEAR!!! 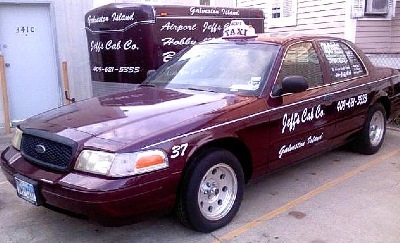 Jeff's Cab's will meet or beat any reasonable group rate for 3 or more people. DON'T FORGET TO MENTION "JEFF-30" TO RECEIVE OUR SPECIAL ONLINE DISCOUNT. OR PRINT OUT THIS COUPON AND GIVE IT TO ANY JEFF'S CAB'S DRIVER.